If you ever been struggling to finish Minecraft PE and failed, try out God Mode addon then. This mod doesn't make you invurable, you still can die, but it's gonna be much more harder to achieve. 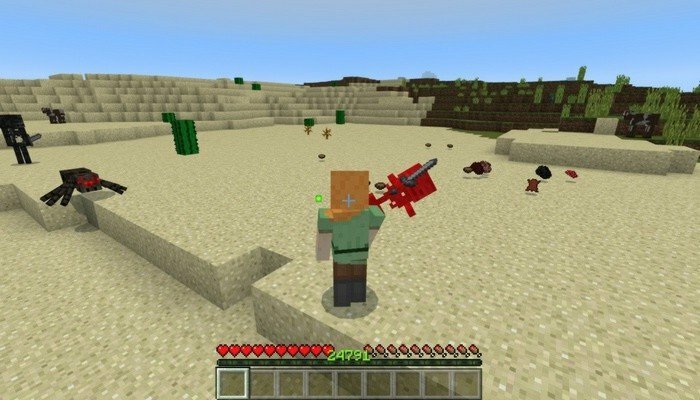 Using God Mode in Minecraft, you can kill every mob in the game only by one hit, even without any weapon. It also will give you 24 thousands levels, which can be used to make the best possible enchants - works only in new worlds.